One of the new models that not many countries will get is the Honda CB1300 and it is one of the best motorcycles you can buy at the moment. The CB series of motorcycles has been a mainstay in the Honda line up for decades and they all have the same design language and hence heritage. It’s a confident manufacturer that continue to make and continually upgrade a model dating back to the 70’s. Clearly people still like this style of motorcycle too! In terms of design the latest CB1300 is the natural progression of the series which also and broadly represents a traditional motorcycle and a Japanese motorcycle design. Specifically the latest CB1300 is clearly the evolution of the CB series without the R at the end which means it looks like a retro motorcycle but this bike has modern parts like USD forks and alloy sports style alloy wheels! There are various versions of the CB1300 with the naked version called the ‘Super Four’ and the 70’s style faired ‘Super Bol DO’r’ or scrambler style CB1300RS. 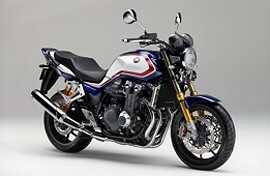 In terms of technology, specifications and performance the Honda CB1300 is not a modern sport bike competitor. It’s peak power is around 7000 RPM and max torque around 5000 RPM which is half the revs of any comparable sports motorcycle engine. In fact the engine has the same power as a Toyota Yaris of Honda Jazz. Clearly a ridable motorcycle in 2018 traffic and with 6 gears too which is unusual in a high torque and naked motorcycle. Modern pollution restrictions means that despite 1300cc power levels are the same as before. In the end the 2018 CB1300 is a great looking motorcycle with more modern parts – what more can you ask for? It’s like a wish list of any modern rider that wants a traditional looking naked motorcycle that you can ride everyday hence one of the best motorcycle s you can buy. That said does that that make it the Honda Civic or Jazz of motorcycles? 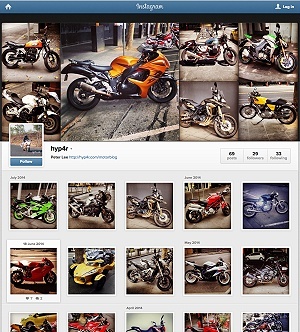 no because most people are still buying sports style motorcycles which are much more common!